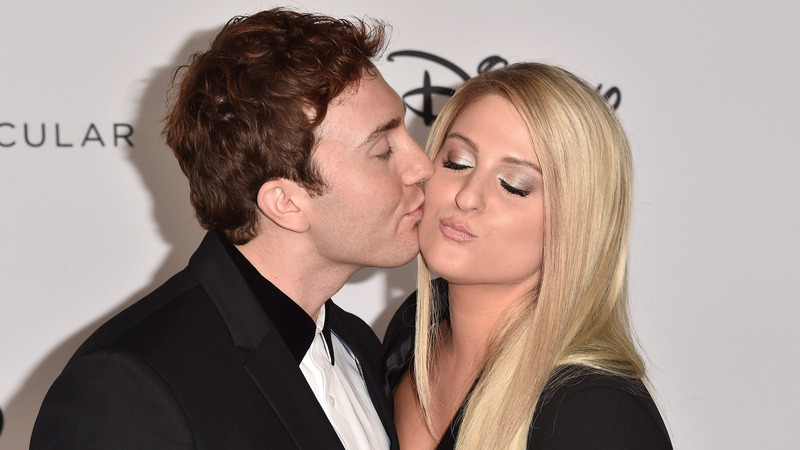 The details of Meghan Trainor’s dreamy December wedding just keep getting better. On Thursday, her husband, Daryl Sabara, shared a throwback of the surprise dance routine he put together for her with the help of her choreographer, Charm La’Donna. Sabara posted the full video of his routine on Instagram, split up into three parts so the couple’s fans and followers could experience the magic from start to finish. “Throwback to when @charmladonna helped me surprise my wife on our wedding day,” Sabara wrote, along with a disco dancing emoji. Sabara and his companions finished the medley and routine with Justin Timberlake’s “Suit and Tie,” all while Trainor clapped, giggled and screamed from her seat. She even stood during the Timberlake portion of the routine, then made sure to greet her husband with a sweet kiss when he finished his song and dance. Trainor and Sabara married on Dec. 22, a year to the day after he proposed and one day before her 25th birthday. They met through mutual friend Chloë Grace Moretz in 2016. Trainor told Chelsea Handler on her Netflix talk show that year that she and Sabara bonded over their shared love of Timberlake’s music, making his song an especially good choice for the conclusion of Sabara’s wedding routine.